The property includes a large yard area which is shared in part with the adjacent occupier. Approximately 2,264.49 sq. m. (0.559 acres) of yard is available excluding parking. In the main the property comprises brick built offices with flat roof with the addition of a steel frame workshop with profile clad elevations and roof. The offices generally include carpet to the floors, air cooling, data points, windows, radiators supplied by gas fired boiler and good natural light. The offices are served by ladies and gents WC facilities, the ladies doubling up as a disabled facility. The space also comprises a kitchen which includes base and wall units and stainless steel sink and drainer. The workshop includes concrete floor, three phase power, three electric loading doors, fluorescent lighting, two gas blower heaters and an eaves height of 5.37 metres rising clear. 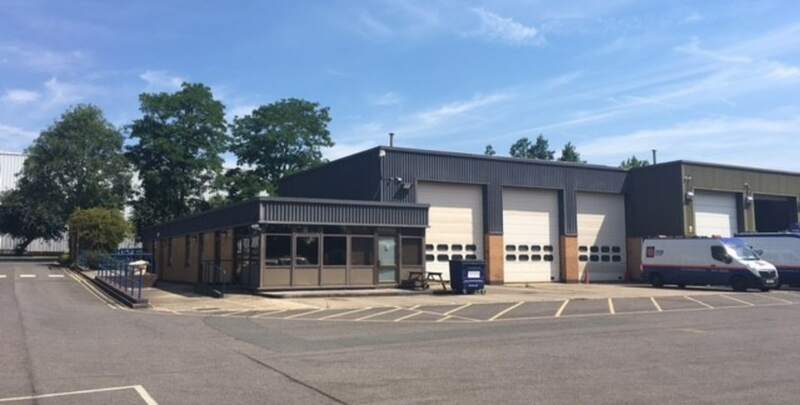 The property generally includes burglar alarm, fire alarm, solar panels, gas fired heating, air cooling to the offices, 26 normal parking spaces, one disabled space, all contained within a secure fenced and gated yard.